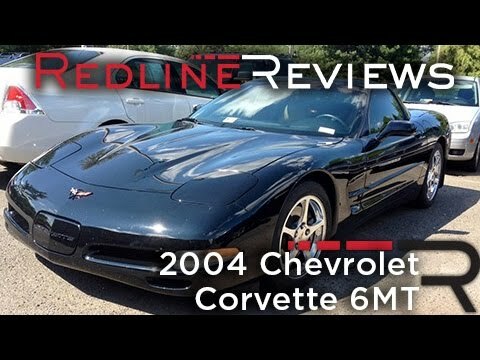 My experience with my corvette still my favorite car since I was a kid. This car has been very deep poo endeavor. Never a mechanical problem it is getting older and upkeep seems to happen more often. The most problems with the car is cosmetic items that need to be replaced. It is the original low rider. Car is very quick and responsive. Had to have weather gaskets replaced because of leaks but that is what you get with type of car. It runs good drives great it had a hiding spot too. No problems at all with the car. It drives and runs great. Had some work done on it currently but overall it runs like its brand new. I brought it from an old couple they say there were going to buy something much more their age. Who could blame them riding in a 2004 Chevy Malibu with tinted windows wasn't a good look for them. It has only about 50,000 miles on it for being over 14 years old. I love the look and the power of the car, It's very sporty. The only thing I wish it had was current technology. It would be nice to have hands free technology. On certain passenger vehicles, the washers in the lower control arm ball stud nut/washer assemblies were made of the wrong material. The washers may fracture and become loose or fall away from the vehicle, reducing clamp load. Separation of the control arm ball stud and steering knuckle, due to disengagement of the tapered attachment and retaining nut, is possible. If the control arm separates from the knuckle, the affected corner of the vehicle will drop and the control arm would be forced downward, contacting the wheel. The affected wheel could tilt outward and create a dragging action that would tend to slow the vehicle and create a tendency for the vehicle to turn in the direction of the affected wheel. In extreme situations, the affected wheel assembly could separate from the vehicle. Separation of the wheel assembly would also sever that wheel's hydraulic brake hose and result in diminished braking performance of the vehicle, which could result in a crash. Dealers will inspect the ball stud joints and measure the torque of the nut for all front lower control arms in all models affected as well as the rear lower control arms on the XLR and Corvette. If the torque is not at specification, the dealers will replace the ball stud, the knuckle, and the nut. If the torque is at specification, the dealers will replace the nut/washer assembly only. The manufacturer has reported that owner notification is expected to begin during August or September 2004. Owners may contact Cadillac at 1-866-982-2339 or Chevrolet at 1-800-630-2438.